This was such a good read. Filled with both mystery, adventure and archaeology this totally reminded me of Nancy Drew, minus the archaeology which was a pretty cool bonus. The story itself was good as well. I loved that the author was very authentic about the location of where this story took place and that he didn't translate some of the things that were needed to be said in Spanish to English. It wasn't too hard for me to figure out what was being said, but since this is a book for a younger audience I'm pretty sure those that read it will have a difficult time and it may get confusing for them. Other then that this was a great book. The relationship between Samantha and her brother is pretty funny since it's pretty dead on with how siblings act towards each other when they're young. As an adult the mystery was pretty easy to solve and I figured it out a bit before the ending of the book, which was okay, because I just wanted to make sure I was right all along, lol. If you like mystery and adventure, this is definitely a great book to read. Be sure to check out our GUEST POST from the author himself! Disclosure: All opinions are my own. 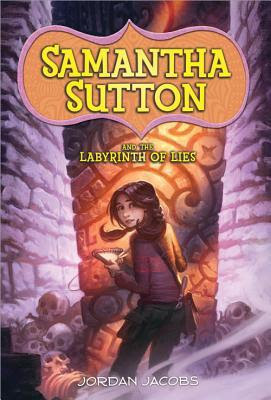 I received Samantha Sutton and the Labyrinth of Lies at no cost for the purpose of this review. No other compensation was received.